REGION — Plans to place more than 1.5 million cubic yards of sand on beaches in two North County cities over a 50-year span recently reached “the last significant major milestone,” Solana Beach City Manager David Ott said. The Army Corps of Engineers Civil Works Review Board voted 5-0 on April 21 to advance the Coastal Storm Drainage Reduction project, which has been in the works for more than 15 years by officials in Solana Beach and Encinitas. “This is big for Solana Beach and all those who have served,” said Solana Beach Mayor Lesa Heebner, who traveled to Washington, D.C., with Encinitas Mayor Kristin Gaspar to give a 15-minute presentation and answer questions before the vote. They were accompanied by Ott, Encinitas Project Manager Kathy Weldon, who has worked on the project since its inception, and Encinitas Public Works Director Glenn Pruim. Solana Beach’s Leslea Meyerhoff was on hand via teleconference. “This project will provide enhanced bluff protection, improve public safety, reduce the need for more sea walls, protect public infrastructure and beach access, as well as provide mitigation measures for sea level rise,” Gaspar said. “This is a critical project for our region and is a proud accomplishment of the entire project team,” she added. 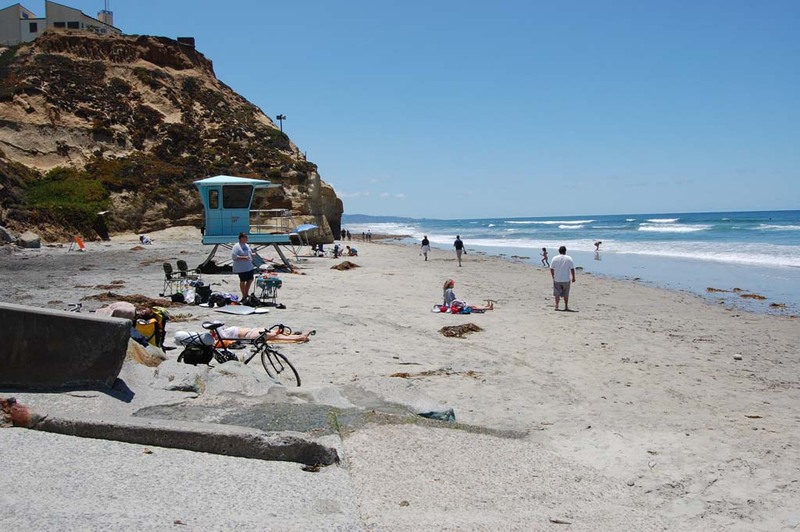 Sand from offshore borrow sites will be used to renourish eight miles of beach beginning at the mouth of Batiquitos Lagoon in Encinitas and stretching south to include the entire 1.7-mile Solana Beach coastline except an area north of Tide Park. The recommended plan is to replace 100 feet of beach every five years in Encinitas, beginning with 340,000 cubic yards of compatible sediment. Following an initial placement of 700,000 cubic yards of sand, Solana Beach will receive about 200 feet of sand every 13 years. The project will next be presented to the military chief of engineers, who will issue a report based on the result of the Civil Works Review Board hearing. That will be followed by final environmental certification. After that comes the construction document phase, for which state and federal money is already allocated. That will take about 18 to 24 months. “During that time if another Water Resources Reform and Development Bill is authorized the project will be placed in that for eligibility for federal funding,” Ott said. Although the majority of the cost, which could be up to $50 million, will be paid with state and federal money, the Interstate 5 widening project will help with funding. As part of that project, about 1 million cubic yards of beach-ready sand will be dredged from the San Elijo Lagoon. That will be a big savings because there will be less of a need to bring in a large vessel to dredge sand from offshore, Ott said.